I collaborated with Kidsdream US for the third time as a Los Angeles kid’s stylist on their 2019 SS Collection photo shoot in a Downtown LA studio. I had 3 little girl to style and do hair and makeup for. Our theme was easter so we had 6 live bunnies on set. The kids absolutely loved the shoot, they were playing with the bunnies during the shoot. The kid’s styling and hair makeup was matching to the shoot theme, they were wearing bunny ears and the designs of the dresses were very summery and light. I matched their hair and makeup looks according to the style so I curled their hairs and applied light makeup. When I’m styling kids my number 1 rule is they have to feel natural and comfortable in their looks. 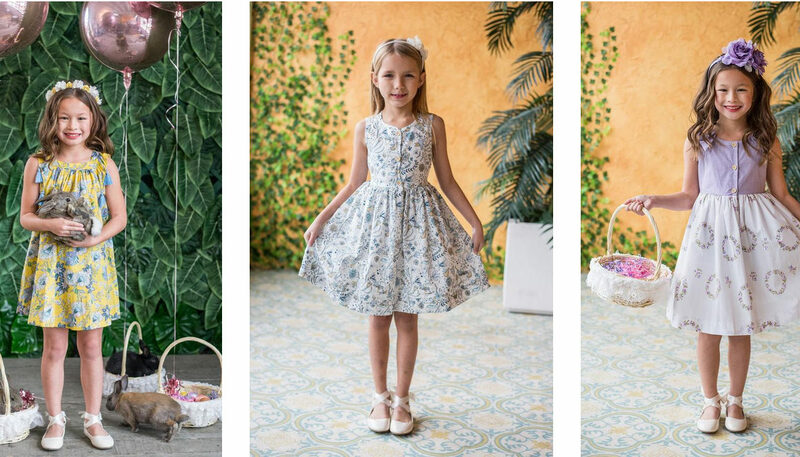 We had pastel color backdrops matching to the dresses and the producer Chewy brought a lot of flowers, ballons, stuffed animals and easter baskets to set in order to create the 2019SS easter vibes. As a Los Angeles kid’s stylist I loved working on this set and can’t wait to receive the final images from the brand. As a Los Angeles kid’s stylist in my opinion from the colors to the styles to even the shoes, their dresses really are perfect for those special occasions. They truly have a wonderful selection of gorgeous dresses that are great for all the little princesses out there. In conclusion I loved working with Kidsdream US and hope we can continue collaborating on upcoming photo shoots in the near future.